This is a copy of Re:Baltica’s English newsletter, sent on Sept 26, 2018. If you want to receive newsletters like this via e-mail, sign up! At least five of them are under contract as consultants to the municipal public transport company Rīgas satiksme. These gentlemen in the last year together earned around EUR 80 000 and contributed around EUR 37 000 to the party. Read the story in Russian here. Rīgas satiksme declined to tell us what exactly the Harmony deputies were doing for the company. This spring we discovered a similar practice at another municipal enterprise the Riga Central Market. Read in English here. Why it matters: When we asked the deputies themselves for what they were getting generous salaries, Riga mayor Nils Ušakovs arrived to “help”. This video is the essence of Ušakov’s arrogant attitude toward journalists who ask critical questions. Ušakovs has filed a criminal complaint against us with the police, asking that criminal investigation is started for defamation. He did not like our investigation, which revealed that the mayor, in recent years, has spent around EUR 8 million of taxpayer money for his own publicity. Read here in English. Together with Kremlin-owned media (Sputnik, Baltnews un Regnum), LKS has published promoted posts on Facebook criticising Nils Ušakovs for insufficiently defending Russian schools in Latvia. Meanwhile Harmony is aided by the leading Russian channel in the Baltic, the First Baltic Channel (PBK) with its satirical program Behind the Scenes. 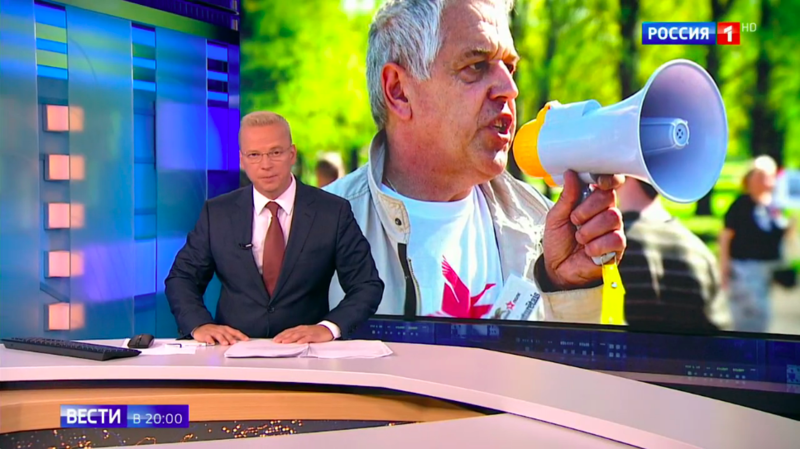 The program host in recent broadcasts has attacked the LKS but also defended the populist Who Owns The State (KPV LV) party, the only one of the “Latvian” parties that has not said it would not cooperate with Harmony. It also gives airtime to the Harmonycandidate for Prime Minister Vjačeslavs Dombrovskis to express his promise to raise pensions to EUR 600 in six months’ time. Between the lines: The support campaign has also been joined by the largest newspaper in Latvia published in Russian – MK-Latvija, part of the PBK group. 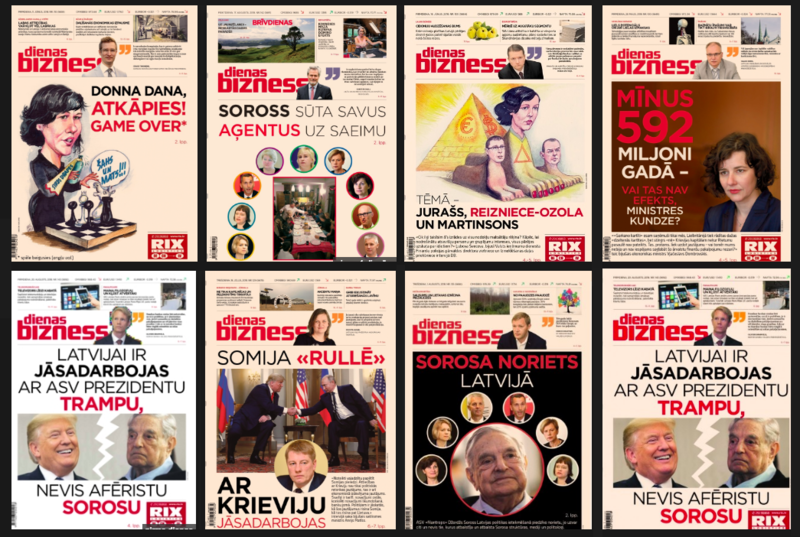 It has reprinted an article from the business newspaper Dienas Bizness exposing conspiracy theories about sorosites (the alleged agents of billionaire philanthropist George Soros). Dienas Bizness is linked to one of Latvia’s oligarchs doing transit business with Russia. After Re:Baltica wrote about the oligarch’s possible support for Harmony and the populist party KPV LV, the latter has filed a complaint with the Latvian police asking to launch a criminal case for defamation. The story in Russian here. 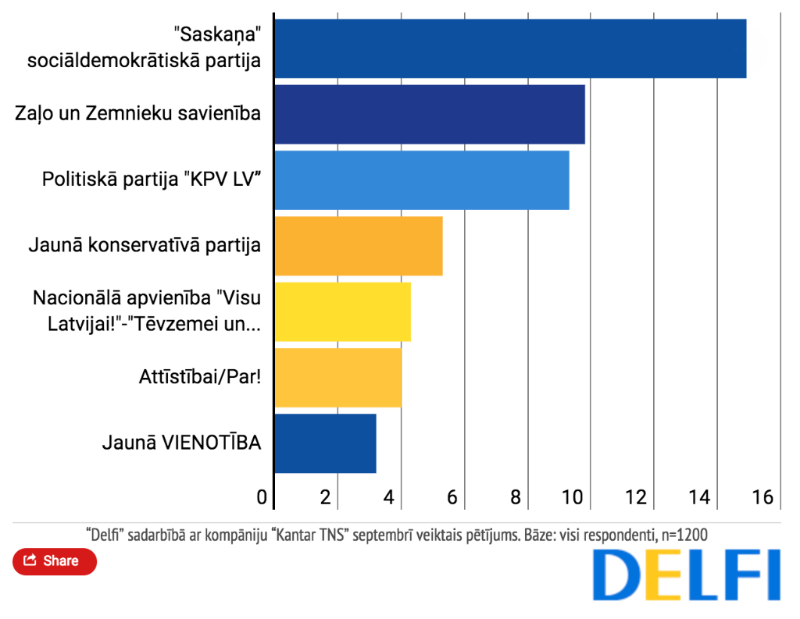 Why it matters: So far the biggest intrigue has been a question if Harmony and Trump-style populist KPV LV theoretically could form a coalition if they get a majority. That would mean the first pro-Russian party in the government for the first time ever. According to the recent opinion polls, the biggest support – as usual – in enjoyed by Harmony (14,9%), followed by PM’s Greens and Farmers (9,8%) and populist KPVLV (9,3%). Meantime, 38% of respondents still haven’t decided whom to vote for. Last week representatives of both Facebook and Google met with journalists in Riga on the same day. The Facebook representatives started their presentation by distributing several pages long (translated into Latvian) “announcement from Mark” (Zuckerberg) while failed to provide answers to the relevant questions. It turned out that FB closes down fake profiles, but does not erase fake news, because everyone has the right to say whatever they please. When a colleague asked whether FB would remove fake news that Tina Turner had died, the FBrepresentative answered “no”, unless Tina Turner herself reported the fake news. When I asked why the fake profiles that Riga’s mayor Nils Ušakovs used to ask himself questions in his YouTube broadcast still exist (I have sent three emails to FBabout them), the spokesman apologised. It turned out that there are only two press officers who cover 20 countries, so e-mails can easily go unanswered. It also turned out that there is no organisation that looks for fake news in the Latvian language on FB, while there is a person or persons (the number was never mentioned) who monitor hate speech in Latvian. FB was unable to say to what extent they provide information to Latvia’s anti-corruption agency KNAB about political party spending on social media. 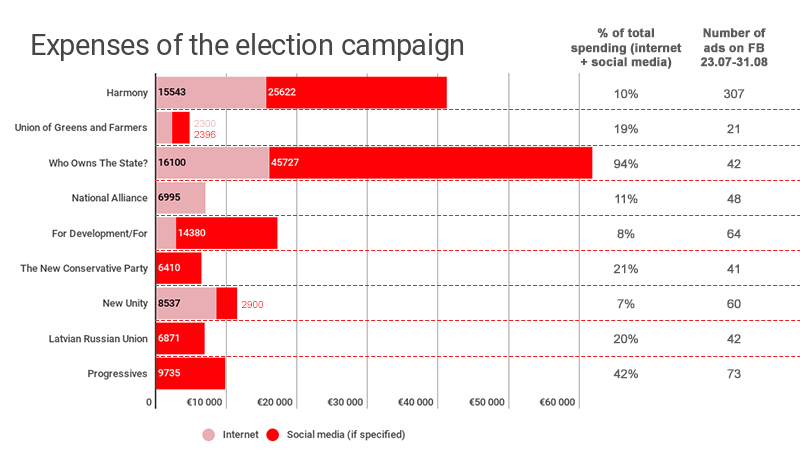 According to information published by KNAB, political parties have hitherto declared that they would spend around EUR 138 500 on FB and Instagram. KNAB told Re:Baltica that it is slowly getting information from FB, but not all that it needs. 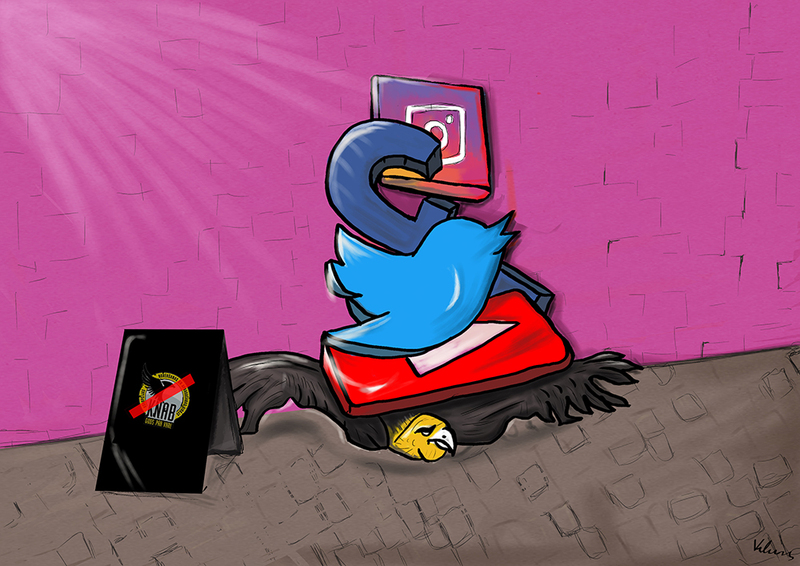 According to Latvian law, all platforms that publish political advertisements must provide information about spending by political parties and closely-related sides. KNAB still hasn’t received any information from Google (YouTube). Correspondence is taking place, but is very slow. When Google representative Tomas Gulbinas was asked at a seminar he organised as to why cooperation (with Latvian authorities) was so slow, he did not answer the question. He and his colleague also ignored several e-mails over the summer about “news” aimed at stirring hatred on specific internet sites. A specific reaction – taking down Google ads – followed only when a strategic communications group at the Latvian State Chancellery got involved in the matter. When asked why this was so, Gulbinas said all questions should be sent to press@google.com. I am still waiting for a reply. What does it mean: Latvia is too small for FB and Google to take it seriously. Especially requests and information from journalists. They react if there is pressure from public officials. Sign up a friend for Re:Baltica’s newsletter! This is a copy of Re:Baltica’s English newsletter, sent on Sept 12, 2018. If you want to receive newsletters like this via e-mail, sign up! 1. Spending by parties on social media rises, but keeping track is impossible. According to the anti-corruption agency KNAB’s latest figures, some parties are spending in excess of tens of thousands of euro. Pro-Russian Harmony has spent or plans to spend EUR 25 000 on social media plus EUR 15 000 for ads on the internet. In terms of amounts, they are exceeded by the populist Who Owns The State (KPVLV), who have planned to spend almost EUR 46 000. These figures are confusing, because the volume of ads placed on Facebook by Harmony in the past month is five times greater – some 300 items – compared to 40 for KPVLV. We cannot keep track of the amount of ads on YouTube, but we get reports from the public that Harmony is dominant there as well, with ads popping up between music videos, films and children’s cartoons in Russian. The sad thing is that KNAB has no way to oversee or audit party spending on Facebook and Google. KNAB has said hitherto that it has the tools to do so, but decline to disclose. According to the off the record information, KNAB had hoped for cooperation from Facebook, but so far nothing has happened. Possibly there will be more clarity next week, when representatives of Google and Facebook will meet with journalists in Riga. I will keep you informed. 2. Pre-election tango on Kremlin TV channels. As usual, before these Saeima elections, the pro-Kremlin Latvian Union of Russians (LKS) is being helped by the Kremlin’s TV channels and the “news portals” Sputnik and Baltnews. Re:Baltica‘s analysis shows that LKS, which wants mandatory teaching of Russian in all schools in Latvia and calls Latvians fascists, is working in symbiosis with Russian print and written media. One example is Aleksandrs Gapoņenko, a pro-Kremlin activist arrested for anti-state activities in April. He wrote on Facebook that an “anonymous American friend” had told him that NATO soldiers would create riots in Riga that would later be ascribed to Russia. As a result a concentration camp for Russians would be installed in the Skonto Stadium in the center of Riga. The pro-Kremlin media and LKS made the whole Gapoņenko saga part of their pre-election rhetoric, portraying Gapoņenko as a martyr persecuted by Latvian law enforcement. LKS organized picketing in support of Gapoņenko, these were reported on Sputnik and Baltnews, with LKS then linking and commenting the stories on Facebook. Read the story in Russian here. 3. And fresh news from our partner @DFRLab. Read here on how Influencers on Facebook pivot to support a Latvian populist party. The populists fell into their own trap. A public service TV investigative program obtained and published a four-year old telephone conversation between the current leaders of KPV LV. In the call, lawyer Aldis Gobzems is instructing the actor and newly-elected Saeima deputy Artuss Kaimiņš (elected from the Latvian Regional Alliance, which he later quit) about who to cooperate with in a coalition. When Kaimiņš expresses doubts that his electorate may not understand what he does, Gobzems says that for most of them it suffices “to get drunk and to have a hamburger (kotlete in Latvian). Now “kotlete” has become a hot phrase in Latvian politics. Meanwhile, pro-Russian Harmony has turned to the National Electronic Mass Media Council, which oversees public service broadcasting, asking to examine the actions of journalists in publishing the phone conversations. This action lends credence to speculation that Kaimiņš party may be a Trojan horse for getting Harmony into a government coalition. Rumor has it that Kaimiņš recorded his own phone calls. This is a copy of Re:Baltica’s English newsletter, sent on Aug 30, 2018. If you want to receive newsletters like this via e-mail, sign up! In recent years there has been much talk of Russian propaganda media in Eastern Europe. We can offer a unique insight into how this works day-to-day. 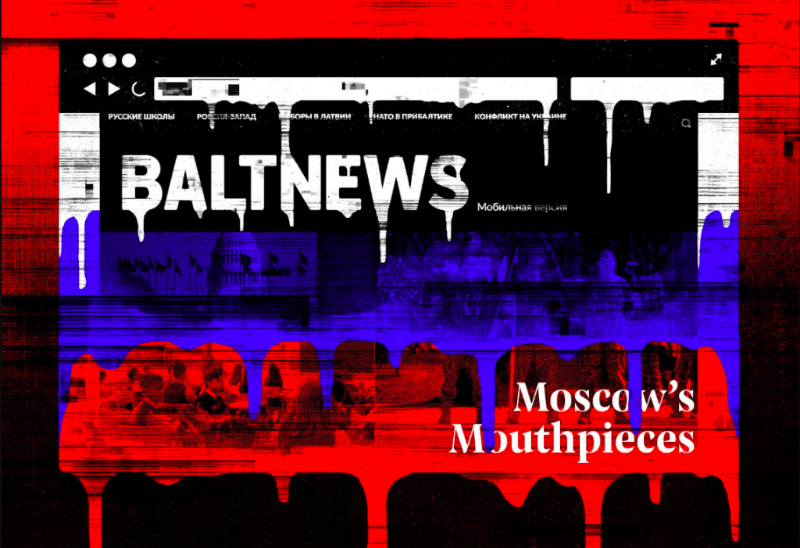 Together with colleagues from Serbia, Ukraine, Lithuania, Estonia and the US, we have done research all summer on a study showing how Moscow has for years been financing and dictating the content of “independent” Russian-language news sites in the Baltic countries – Baltnews. The English-language version of the study was done together with our partner Buzzfeed. You can read it in English here and in Russian here. Still on top is pro-Russian Harmony which has always remained in opposition despite having the single largest voter support. The re-branded centrist-liberal New Unity (the old Unity and a few regional parties) passed the 5% barrier for seating in the Saeima for the first time. 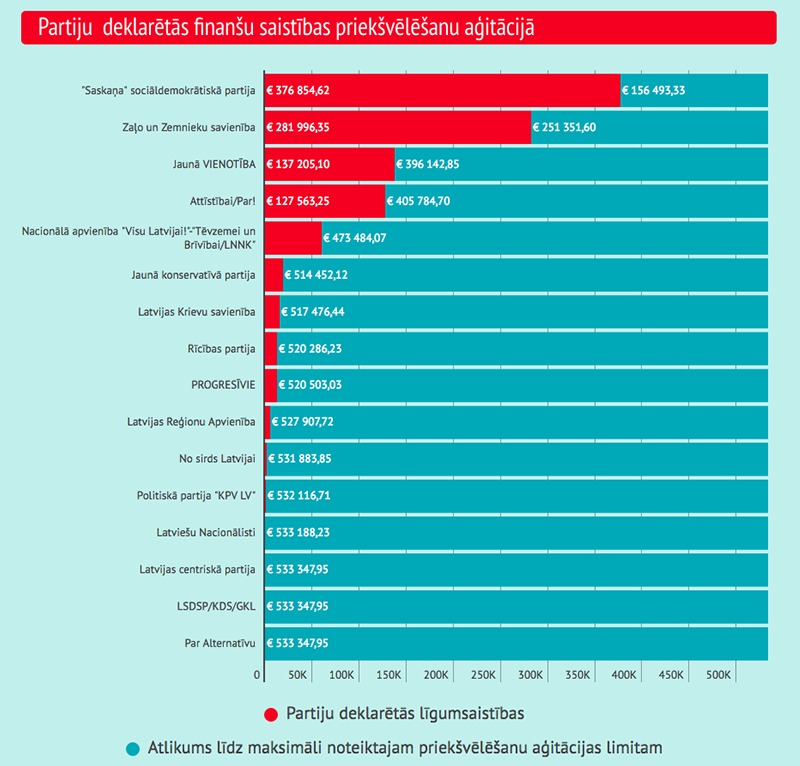 The anti-corruption agency KNAB, which oversees the financing of political party campaigns, has published an infographic in Latvian of how much parties have spent of their legally allowed election campaign limits so far. The red shows how much has been spent, the green, what is still remaining. The ceiling for this election is EUR 533 347 and is being rapidly approached by Harmony and the Greens and Farmers’ Alliance. Our observations through our social media monitoring project show that Harmony uses advertising on social media the most, publishing around 80 ads per week, with the other parties averaging around 15. We gather political advertisements on Facebook by using the ProPublica tool Ad Collector. Every week we summarize and publish the results in a PowerPoint presentation. Check here. Last week something a bit unbelievable happened – the Latvian police detained two youths on suspicion of publishing fake news, some of it of a very disturbing nature – the crash of a Latvian airliner and the collapse of a shopping center building. We have previously researched and reported that there are three main fake news distribution networks in Latvia. One was run by a 22-year old rap musician, the other by his minor (underage) fan Arturs. Read about it in Russian here. Off the record information I obtained by a source reveals that the police asked the youths to delete their fake news pages in their presence in order to mitigate their punishment. The Re:Baltica team is pleased that the police acted. Meantime, we think that the youths should get an “educational/rehabilitative” punishment, like raking leaves in the park. On the other hand, some would say, lock them up for shock effect. This is a copy of Re:Baltica’s English newsletter, sent on Aug 23, 2018. If you want to receive newsletters like this via e-mail, sign up! With regard to the growing interest in the coming elections to the Latvian parliament or Saeima, we will experiment with offering you a weekly summary of important events up to election day on October 6. These newsletters are a partly-off-record synthesis of the main events and issues to save you time monitoring the media. One big thing… Is a Latvian oligarch supporting a populist party as a means of getting Harmony (Saskaņa) into the next government? There is considerable circumstantial evidence that Ainars Šlesers, a former politician, government minister and, yet again, a businessman, is supporting the populist Who Owns The State (KPVLV), founded in 2016 by the former actor and parliamentarian Artuss Kaimiņš and others. What points to this? Changes in the editorial policy of Dienas Bizness, a business newspaper and website founded by the Swedish Bonnier Publishing group but sold to new and sometimes non-transparent owners in 2009. Mr. Šlesers, considered one of three leading oligarchs in Latvia is seen as the true beneficial owner of the once leading general news newspaper Diena and Dienas Business (together with another oligarch, former Prime Minister and businessman Andris Šķēle). This spring, Dienas Bizness suddenly started publishing interviews with candidates for ministerial posts from the allegedly pro-Russian Harmony and editorials backing KPVLV. The newspaper also published editorials attacking political rivals of Harmony and KPVLV using rhetoric alluding to “Soros” conspiracy theories. The publication also criticized the Finance Minister Dana Reizniece-Ozola for calling for very strict regulation of Latvian banks to prevent money laundering, which has been detected on a large scale by the US authorities and international researchers. What is the purpose of this? There are several purposes. Mr. Šlesers current business interests are linked to transit flows from Russia. Therefore, a Harmony government would mean better relations with Russia, while eased regulation of banks serving non-resident customers would make life easier for Mr. Šlesers business partners. The rants against “Sorosites” seen to reflect personal offense at some of the ideas advocated by NGOs financed by George Soros, such as support of LGBT rights and marriage equality. Mr. Šlesers was one of the main sponsors several years ago of an amendment to the Latvian Constitution defining marriage as possible only between a man and a woman. Revenge. The ex-politician businessman also seems to want to prevent former officials of the anti-corruption agency KNAB (two are running on the New Conservative Party ticket) from gaining any political power. He sees KNAB as responsible for leaking the so-called “Oligarch conversations” clandestinely recorded at a Riga hotel where Šlesers and other politicians and oligarchs were heard plotting schemes that amounted to state capture and possible corruption. The tapes, recorded with legal sanction were to be used in a criminal case that was dropped, but transcripts of the conversations were leaked to the weekly magazine IR. Dienas Bizness, in communications with the international media Politico denied any connection to Mr. Šlesers. The facts gathered by Re:Baltica indicate that the editors of Dienas Bizness are not independent in selecting editorial themes and favor Harmony and KPVLV in the forthcoming vote. However, it is not clear exactly what ties Mr. Šlesers has with the populist party – does he merely share information or are there financial ties. For deeper insight into the political parties in this year’s elections (read in ENG). July voter polls showed Harmony, as always, in first place at 21% with KPVLV in third place after a sharp rise to 7%. This makes it unlikely that both parties can gain a majority of seats in the 100-member Saeima. However, there is a large number of undecided voters – 23%, but almost 13% of voters are saying that they don’t plan to vote at all. If you have any questions or suggestions on what you would like to read in the upcoming newsletters, please, let me know.